The world needs the new solutions. The world needs entrepreneurs. Among the places where solutions are most needed is West Africa. As disease upsets their societies, new solutions to life's everyday problems - and the big new ones emerging in their future - will be needed. You can utilize the organization Kiva to make small loans to entrepreneurs in West Africa and across the world. Kiva aggregates your small loan (you can start with $25) with others to raise monies to loan to specific entrepreneurs who are vetted by Kiva Partners in that area. I've made dozens of loans to entrepreneurs in dozens of countries all around the world through Kiva over the past few years. My repayment rate is 100% thanks to Kiva's good work in this field. Just this week I made two small loans to entrepreneurs in Sierra Leone. The link below is directly to loans that are being sought by entrepreneurs in West Africa right now. To participate, set up a Kiva account, put some money in that account and choose an entrepreneur or two to support using KIVA's web sites below. 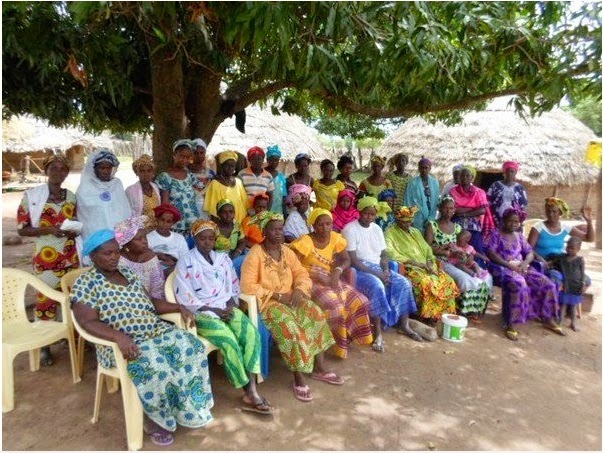 Photo is of the group of farm entrepreneurs from Senegal one of my little loans helped fund this week. This group raises and processes peanuts into peanut butter.